Instant hot water pots supply an immediate source of hot water for drinks such as tea or coffee or food products like oatmeal. Because these pots usually only contain water, they rarely require much cleaning. On a daily basis, all that is needed is a general cleaning. If you notice any calcium deposits -- often the result of hard water -- a more thorough cleaning and decalcification is necessary. 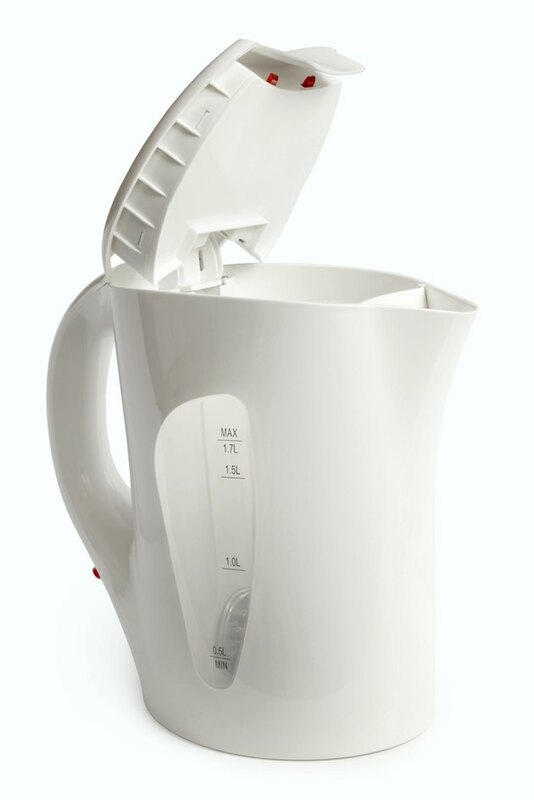 A modern electric kettle requires a bit of extra work in homes with hard water. Wait until the hot water pot is cold before cleaning it. Empty the pot into a sink. Rinse out the inside with plain water. Add a drop of a mild liquid soap to remove any scum or other residue. Rinse the soap from the pot until the water runs clear. Dry the interior thoroughly with a soft, lint-free cloth. Wipe the outside of the pot with a clean, damp cloth. Dry with a soft cloth. Empty any water from the pot into a sink. Fill the kettle with white vinegar until it covers the bottom 1/2 inch, then add enough water to fill the pot. Run the pot through a cycle so it boils the vinegar mix. Some pot models have a descaling function; use this as opposed to running a cycle. Check the pot's interior for leftover mineral deposits. If you discover any, repeat Step 3 until all mineral deposits are gone. Empty the pot and rinse it well with water.